In ancient Greek mythology, Aether was the air of the gods; and that is exactly what the drivers in this masterpiece push! This ground breaking design is similar to our ST line but in a differently voiced smaller package. While about 20% smaller than the ST-1, the Aether has all of the same features as well as a new integrated rear port design that is as innovative and precise as our original design, but allows for the smaller footprint and lower weight. The Aether features a slightly more open sound due to the rear porting, and has a distinctive midrange that can be described as both fat and slightly Southern, all while maintaining tremendous bass response which yields an extremely versatile tone. 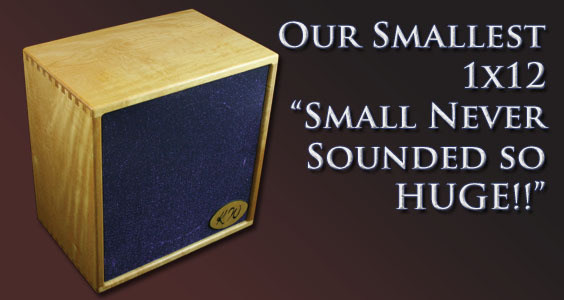 The Aether redefines the possibilities of small cabinet TONE!